The province has promised to reveal its contribution amount this week, sticking to a promise to have the information 30 days prior to the plebiscite. Coun. Evan Woolley, chair of the city's Olympic oversight committee, says time is running out. "We are reaching a very, very short turnaround time, because I struggle on asking Calgarians to go forward in a plebiscite without having an understanding of what our stake is in this," he said at a committee meeting on Tuesday. City administration could not say when federal figures might be available but indicated conversations are ongoing. Mayor Naheed Nenshi says he heard the number might not be revealed until early November, which he told the committee was "much too late." "I got a lot of positive feedback over the Thanksgiving weekend saying we're going to accelerate this on the agenda, but I have not yet had confirmation that that's going to happen," he said. Nenshi says he's frustrated because Calgarians were promised all the information they would need for a Nov. 13 plebiscite. 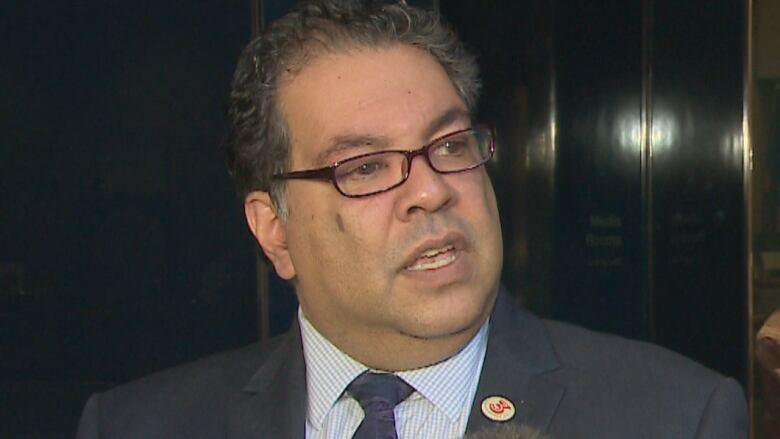 But Nenshi says releasing those figures without the federal information could be misleading. "So, in fact, my advice to the province would be don't put that number out, even though you promised to put it out 30 days in advance, until the federal number is available," he said. Alberta Premier Rachel Notley was non-committal when asked about Nenshi's advice. "We are currently looking at releasing our numbers, generally, and then the matter of where the feds are will be addressed subsequently," she said. "We're still in conversations and we'll see where that ends up." How does Calgary stack up with the other finalists for the 2026 Olympics?